Iris Wildthyme springs fully-formed from the head of Paul Magrs and incarnates in the voice of Katy Manning, giving the Fifth Doctor a migraine. I came to this audio in the best way possible. I queue my latest purchases without checking cover art or cast lists, and I hadn’t seen or heard Katy since reruns in the 80s, so it took me several minutes to catch on to why that reprobate nun sounded so familiar. “It can’t be… dear gods, it is!” I hooted with laughter all the way through. What is Excelis? The capital city of Artaris, the planet where all the stories in this spinoff range are set. In this first installment, the Doctor takes some time out post-Frontios to participate in a treasure hunt to retrieve a Relic which he guesses may be powerful or dangerous. It’s a dysfunctional buddy road trip which requires all his powers of diplomacy to chaperone Iris, a barbarian warlord and a nun. The plot is skimpy, a “fetch quest” through a monster-infested jungle that feels like an old D&D campaign. The guest characters are one-dimensional, misleadingly so, and there’s nothing in this audio to redeem them. I’m irritated by their “Dear diary” and “As you know, Sister Jolene” tendencies. However, beneath the surface, there’s a lot of seed-sowing going on that will come to fruition in future installments. In the meantime, Peter Davison and Katy make this audio an entertaining two-hander. The main story is really less important than their arguments, rants and insightful conversations discussing Gallifrey, life and death, and the reason the Fifth Doctor takes his responsibilities so much more seriously than he did early in his run. The plot is unremarkable, but there’s a nice twist when we finally discover the true nature of the One Ring, er, the Relic. While it didn’t entirely grab me, I like what Big Finish was trying to accomplish: visiting the same world at different periods in its history and watching how the Doctor’s meddling has influenced it over time, like Earth, but without listeners thinking of it as home, as us. 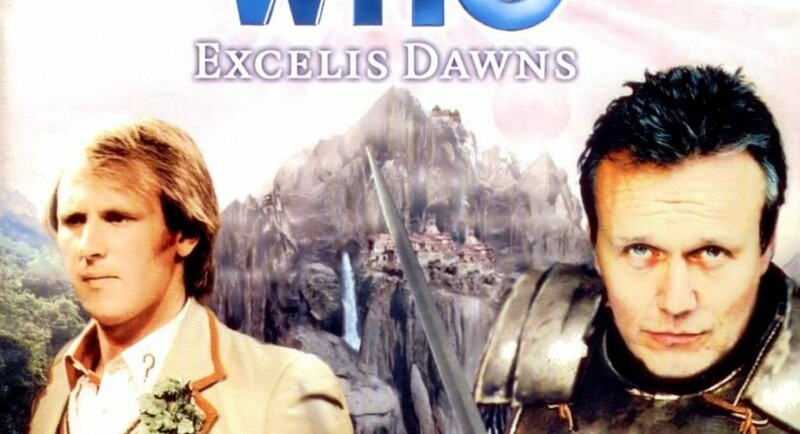 Also, since it’s outside the Main Range, the Excelis series show us the Doctor and the Whoniverse from the point of view of guest characters, providing some subtle meta. I’ll listen to anything with Katy carrying on like this, but if your not partial to Iris, you can skip right to Excelis Rising. It provides enough backstory that you won’t be lost if you haven’t heard this one. The whalesong invoking spirits of the afterworld are an eerie, atmospheric touch, but I could have done without the melodramatic Gollum speeches boasting “defy, defy!” over and over and going on about the Precious, er, Beloved. A simple purse-snatching turned out to be practically all that was needed to outwit them. Yawn. On the other hand, the Doctor’s hearts-to-hearts with Iris are worth hearing. He opens up to her about Adric in a way he can’t with his regular companions, not even Nyssa. Their discussion makes explicit the fact that apart from One, the Fifth Doctor had the biggest character arc of any of the classic Doctors, starting out as a feckless innocent and morphing into the intense, dedicated hero of Androzani. He also has some odd things to say about the Watcher and his experience meeting his “ghosts” in The Five Doctors. I’m intrigued at his saying he met himself “four, five, six times over” in the Death Zone, even though we only saw him meet three of them onscreen. This is all very EU.